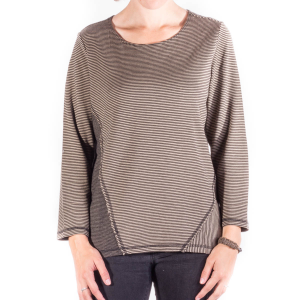 57727 Habitat Women's Angled Seam Crew Let this striped top help you through your busy day. The angled seams provide detail without over-the-top drama. This is a shirt that will fit in nicely into any wardrobe. 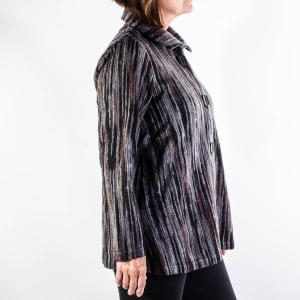 52302 Habitat Women's Boxy Jacket Warm enough to chase a chill, this boxy jacket is ideal for morning dog walks or evening star gazing. You'll love the feel of the double face quilting; so soft. 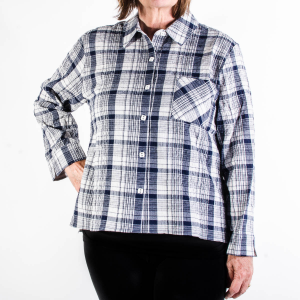 64708 Habitat Women's Boxy Shirt Try this crinkle cotton sweetie on and get hooked. The style is casual and the material is easy to care for; two reasons why this will become a go-to favorite. 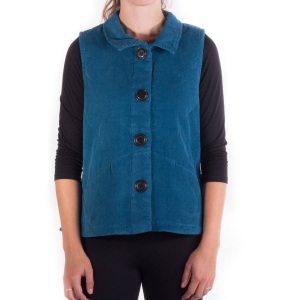 40135 Habitat Women's Boxy Vest Give your outfit dimension without adding too much bulk. Sometimes a splash of color is all you need to transform your look. A vest is the perfect way to add interest to your established style. 63521 Habitat Women's Car Coat The ombre fleece of this car coat is so pretty, you'll have a hard time deciding which color to get. As functional as it is attractive, grab it as you head out and chase away the chill in style. 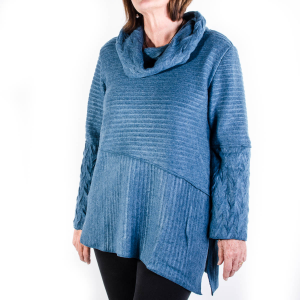 45002 Habitat Women's Diagonal Cowl This pleated fleece top has an irresisitible touch. When the cool, overcast days have you feeling down, slip it on for comfort and face the day in style. 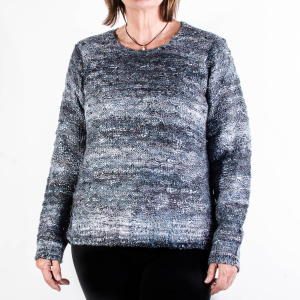 85456 Habitat Women's Diagonal Moc Lose yourself in the fluffy softness of this boucle sweater. Throw it on to chase away the chill or build an outfit around it. No matter how you wear it, you'll be glad you chose it. 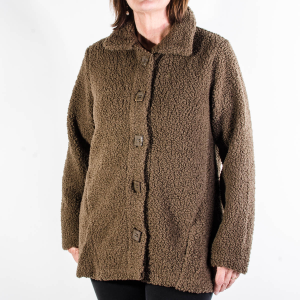 68325 Habitat Women's Diagonal Seam Coat Feel pampered in this faux shearling coat. There's something about the soft fuzzy feel that is so endearing. 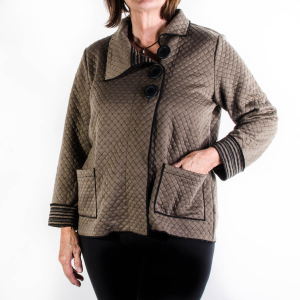 This coat can be worn casually and also will pass for those occasions that requires a more serious look. 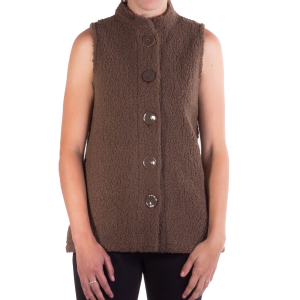 68316 Habitat Women's Diagonal Seam Vest Pamper yourself with this faux shearling vest. Add interest to your look without adding bulk. A vest is the perfect way to take your look to the next level. 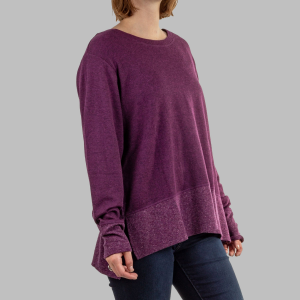 53321 Habitat Women's Diagonal Vee The comfortable design of this wave knit vee provides a fit that you will appreciate. 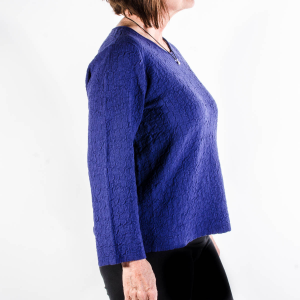 With jeans or a dressier pair of pants, this attractive top agrees with anything you wear it with. 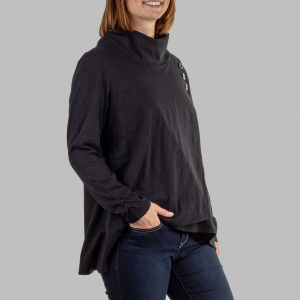 89236 Habitat Women's Droptail Crew Move comfortably and stylishly thourgh every part of your life. 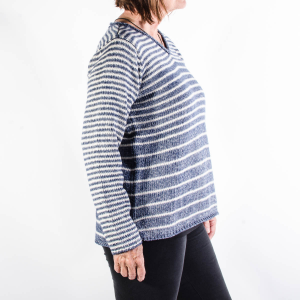 From weekday projects to weekend fun, know that this Droptail Crew will help you every step of the way. 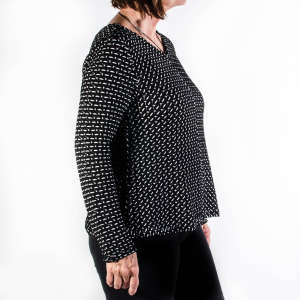 34215 Habitat Women's Drop Tail Shaped Shirt Habitat wants to enhance your personal style, not dictate it. 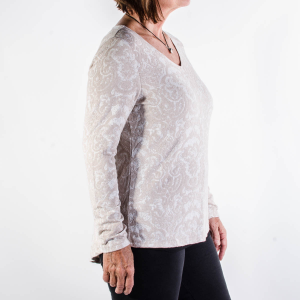 Try on this floral jacquard top and you'll be sold. Attractive yet simple, it is a piece you can build your wardrobe around. 88708 Habitat Women's Droptail Vee Move comfortably and stylishly thourgh every part of your life. 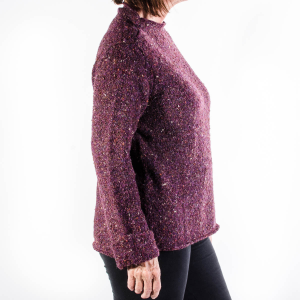 From weekday projects to weekend fun, know that this Droptail Vee will help you every step of the way.